Project Management | SSI | System Solutions Inc.
Project managers are responsible for keeping your project within timeline, scope and budget; they work collaboratively with the client every step of the way. In the nautical world, each ship has a designated Captain and First Mate: a tight-knit, organized team. The Captain and First Mate form a strategic partnership that gets the ship sailing in the right direction and arrives at it’s intended destination in a timely manner. The same is true in the world of web development, the project manager assumes the role of captain and the client assumes the role of first mate. Every web project requires the experience and knowledge of a project manager. Project managers are responsible for keeping your project within timeline, scope and budget; they work collaboratively with the client every step of the way. Project requirements- during the discovery process your project manager learns about your organization and defines the requirements that meet your organization’s needs. Discovery is when the relationship between client and project manager is first forged. Building a relationship that is built on trust and honesty is one of the project manager’s goals. Project plan- once the requirements are defined the project manager will plan the full scope of the project from start to finish. The plan will include phases of implementation, content insertion , training and testing. During this phase the project manager also works closely with the development team to determine what modules will be needed to complete the project. Project execution- in the development phase, the project manager’s plan is strategically executed. This keeps the project moving forward and on track toward a timely launch. Project closure- Once the project is launched, the project manager works with the client to build a support relationship that will be the key to maintaining the site once it is live. Project timeline- sticking to the project timeline is one of the best ways to remain within budget, but it is not easy. Project managers carry the responsibility of sticking to the timeframe allotted. 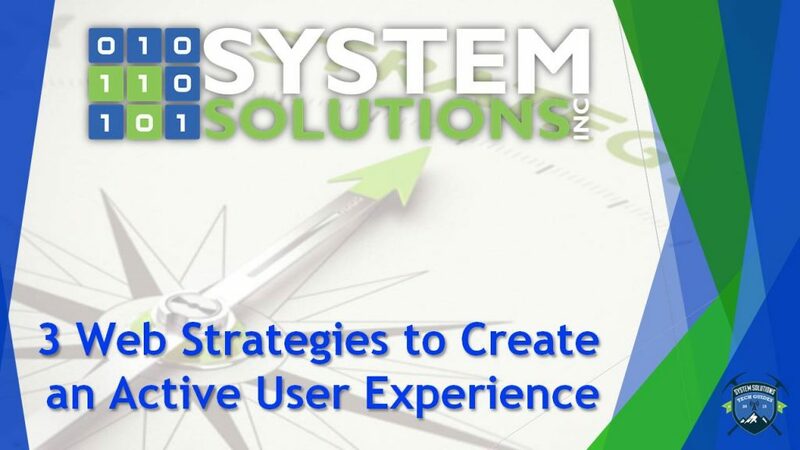 System Solutions, Inc. has been involved in project management for more than a decade. We possess the skills you need to build a website that meets your needs and fits within your budget. Our project managers are a valuable resource to your web based project.